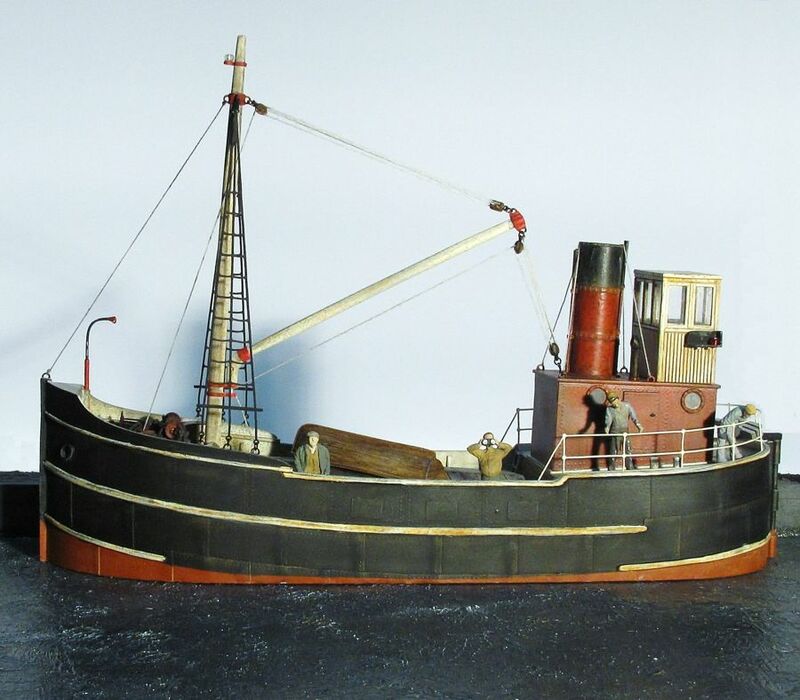 These small but rugged coastal freighters, called Clyde Puffers, were built from the 1850s through 1920 to carry freight into and around the coastal waterways of Scotland and were still in use well into the 1950's and possibly even later. The term "Puffer" comes for the distinct puffing noise produced by its steam engine. 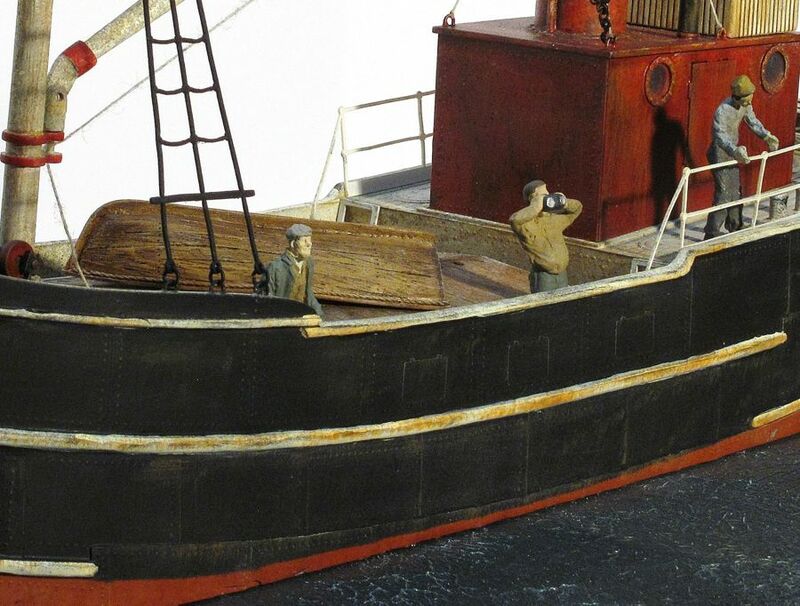 Although this ship has its roots in Scotland, it would be right at home on any dock-side scene. 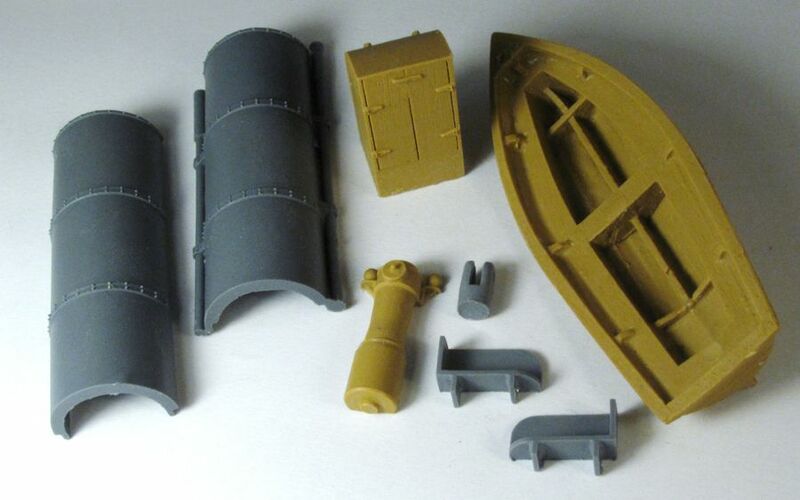 Our kit includes many features and accessories commonly found aboard small freighters of all nationalities. 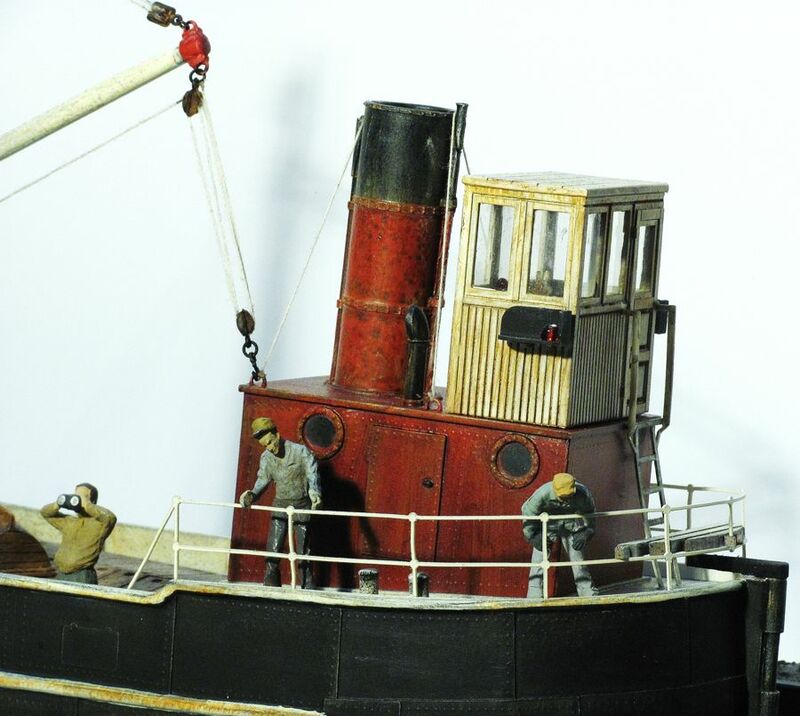 This kit consists of many highly detailed resin castings including a super detailed one piece hull with riveted steel plate details, one piece super structure, one piece wheelhouse, mast, boom, smoke stack, ship's boat and more. 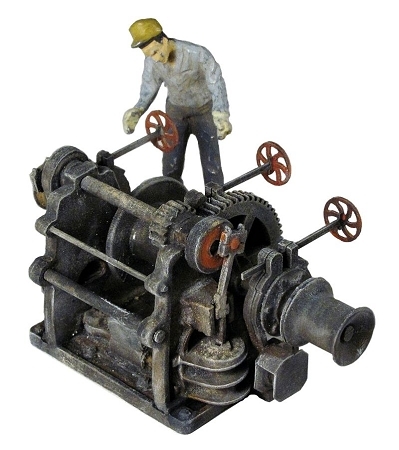 A special addition to this kit is the highly detailed Vertical Cylinder Steam Winch Kit which is a show stopping kit all to itself. 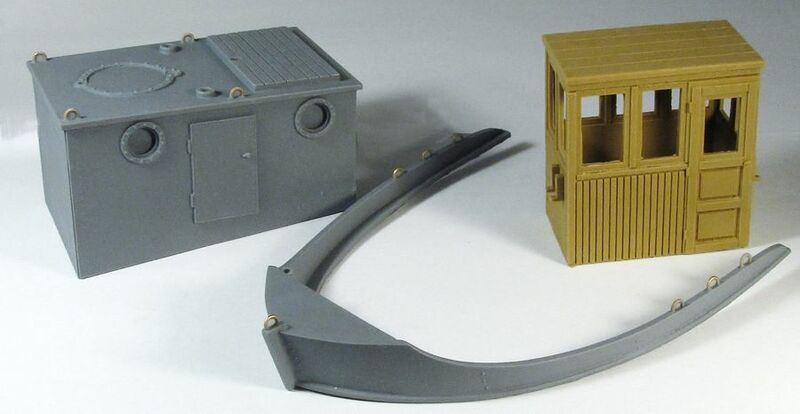 Our kit also contains laser cut ratlines, railings, ladders, and much much more. Lead-free Britannia metal detail parts include an anchor, ventilators, and davit. 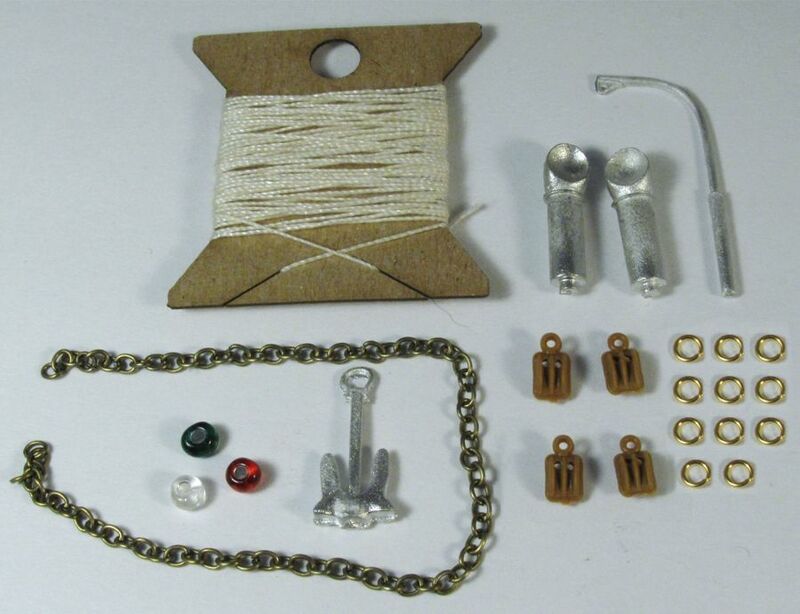 Chain, pulleys, and rigging line are also included. Everything you need to produce this strikingly beautiful ship that will be a signature piece to your waterfront scene. 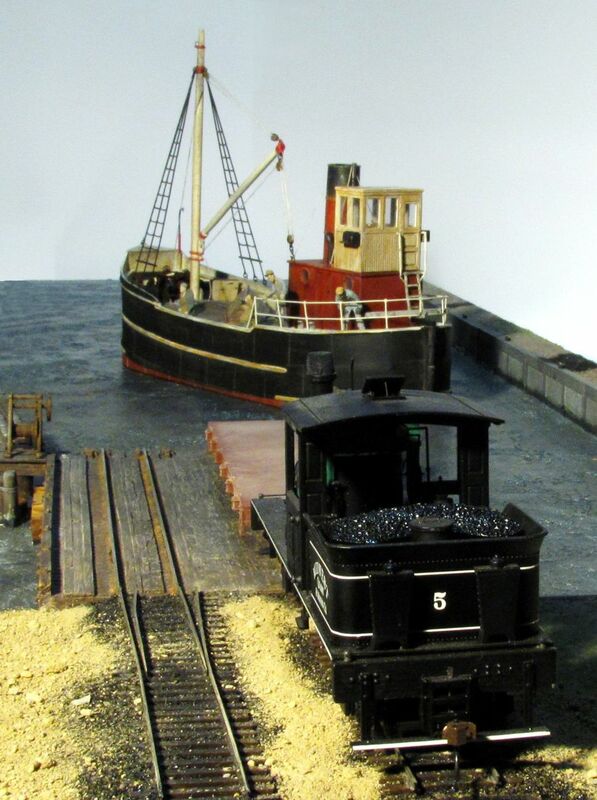 FAQ: Shouldn't the wheelhouse be in front of the smoke stack? ~Actually, the vertical steam boiler is located directly beneath the smoke stack and extends up into the super structure. 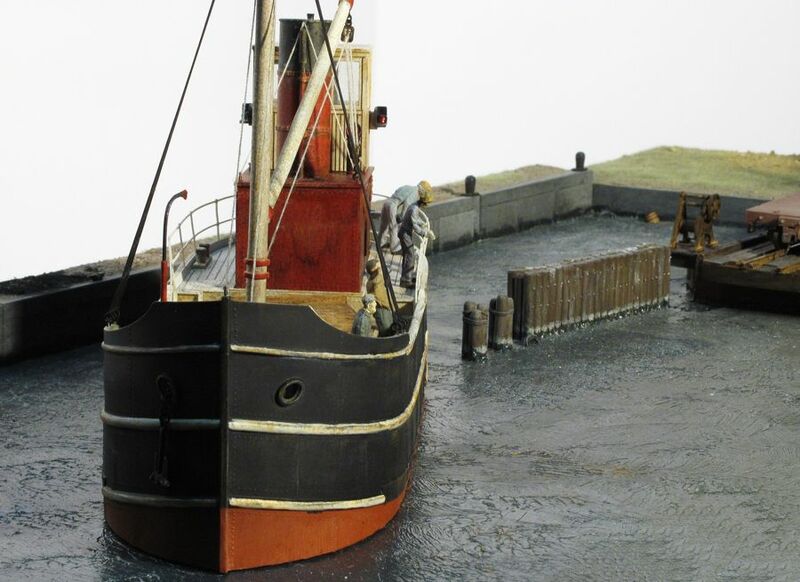 The location of the wheelhouse was chosen out of necessity to make the most of limited engine room and cargo hold space. So, yes, by modern standards this would be incorrect however, with these ship's in particular this is the correct configuration. What era were these ships used in? ~Clyde Puffers, were built from the 1850s through 1920 to carry freight and were still in use well into the 1950's and possibly even later. 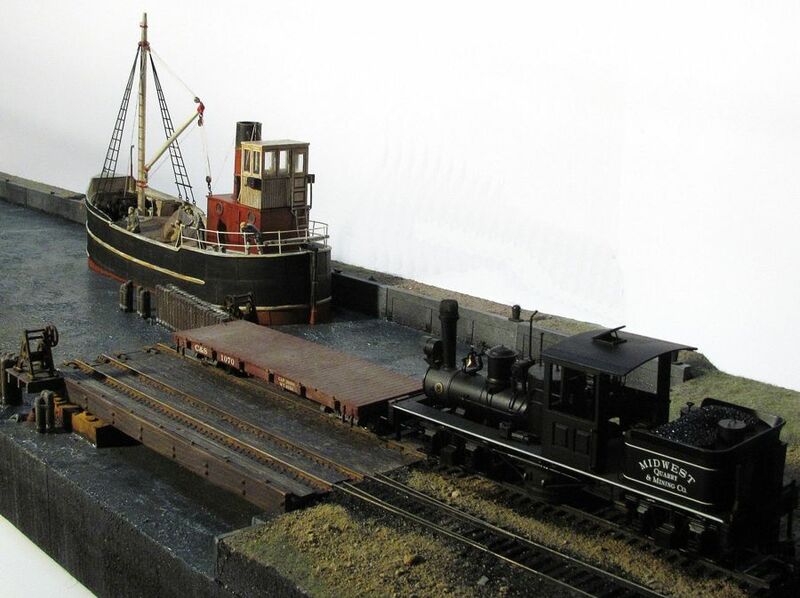 In fact, much of this kit is based on a Puffer that is still under steam power to this very day! It is the VIC 32 and has been converted to a bed and breakfast where guests can participate in the daily chores onboard. Excellent kit. Well worthwhile to pick it up if you have the real estate!